The ladies of THE TALK drop by the set of CBS Sports’ NFL TODAY while in New York City to get some “Football 101” as they all gear up for their trip to New Orleans for the Super Bowl XLVII. 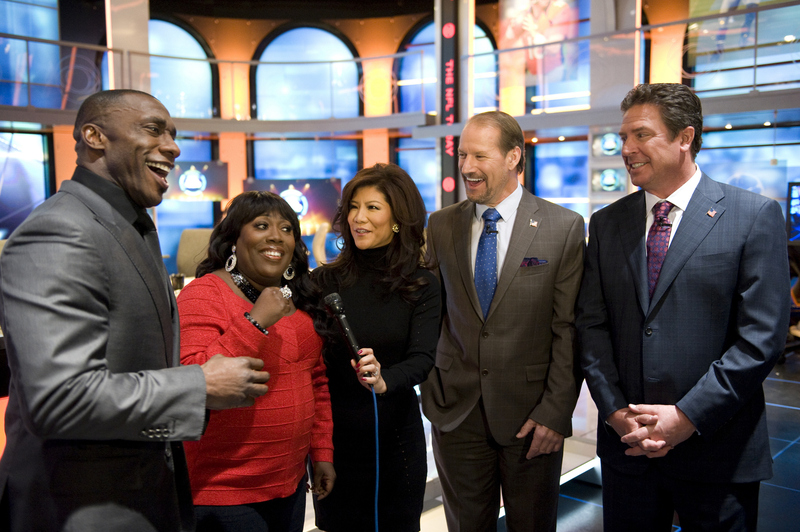 (Pictured: Anaylst Shannon Sharpe, from left, Sheryl Underwood, Julie Chen, Analyst Bill Cohwer and Analyst Dan Marino, shown. Photo: John Paul Filo/CBS ©2012 CBS Broadcasting, Inc. All Rights Reserved.